One of Ireland's top collision repair specialist, Denning's Cars, have today been announced as the title sponsor of the 2019 Fiesta ST Championship. The series has been rejuvenated over the winter and the entry list for this weekend's opening round sports many new and experienced names. Dave Maguire has won the series for the last three years for Murray Motorsport but he faces multiple new challengers this year- some within his own team! Multiple saloon winner Michael Cullen only missed to adding to his bulging championship trophy collection at the final round of the 2018 Championship when a mechanical failure in qualifying meant he started from the back. Gordon Kellett is equally experienced and is only coming to grips with the 160bhp saloons after a long sabbatical. Former SEAT Supercup, ITCC and Punto Abarth Champion Erik Holstein has also thrown his hat in the ring for the 2019 Championship. His Phil Wright run, Naas Court Hotel backed machine surely won't be far from the front, and the former showjumping star is always great to watch. Barry-John McHenry and David Kidd are both experienced and successful saloon racers and neither can be discounted this weekend, while brothers Brendan and Michael Fitzgerald also return to the class for 2019. Graham McDonnell is another 2018 front runner who will be looking toward the top step of the podium, as will former Fiesta 6 Hour winner Ronan McHale, who makes his ST debut this weekend too. They may all have to look over their shoulders though as multiple karting champion Alex Denning graduates to car racing this weekend. Despite being the youngest driver in the class at just 19 years old, the latest Denning to take to the Mondello tarmac already has 12 years of karting experience under his belt and apparently has been stunningly fast in pre season testing. It seems he is unphased by his more experienced competitors! "I’ve been out a few times already and am confident that I can put it up to the older, more experienced Tin Top racers. Youth always beats experience!" Alex's father Liam was a hugely successful racer and is uncle John also competed successfully in both Fiesta classes until recently. All in all, it would seem that the Dennings Cars Fiesta ST Championship will be well worth watching in 2019. As for picking a winner- well it could be any one of a host of eager candidates, so take your pick! Liam Denning, Dennings Cars "I am delighted to come on board this year and it is great to see big competitive grids. I am too busy with business to race much these days but am delighted to hand the baton to Alex as he makes his motor racing debut!" Leo Nulty, Fiesta ST Championship Manager. 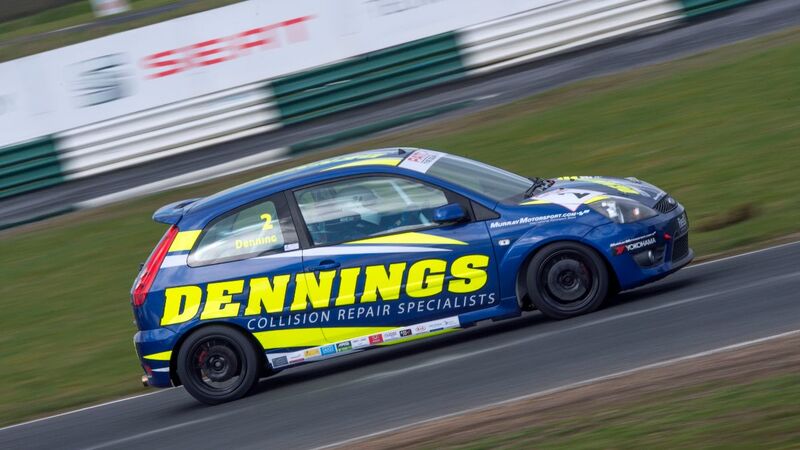 "We are delighted to have Dennings Cars on board for 2019 with the ST series. Both the Denning family and their epynomous business have strong ties with Irish Motorsport and with Alex now joining the series, the timing is perfect. We have some of the best saloon car drivers in the country on the grid this weekend, with even more to come for the second outing in Bishopscourt in May!"